If you have a lifted truck and are having trouble getting the best attack angle, don't worry, Meyer has there hitch adapters to help you out. These Meyer Home plow hitch adapter will give you the same performance as if the plow was attached to the 2" receiver hitch. Meyer Home plow hitch adapter is designed to lower or rise the attachment point of your snow plow to improve performance. 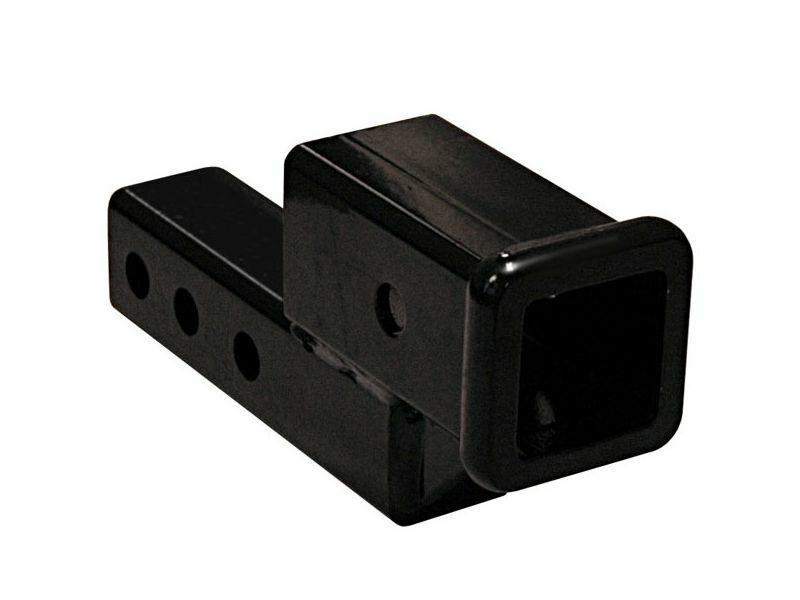 Meyer has 2 different options for hitch adapters a 2" or 4", made from durable black powder coated steel. So if you have a lifted or lowered truck and your receiver snow plow is having trouble getting the right angle, then the Meyer Home plow hitch adapter is for you. Order one today! The HomePlow, warrants to the original purchaser of HomePlow brand products that they will be free from defects in materials or workmanship for a period of one year from date of purchase to only the original owner. ?003f003f The HomePlow will repair any product that proves to be defective in materials or workmanship. In the event repair is not possible or practical (as determined by The HomePlow in its sole discretion), The HomePlow will either replace the product with a new product of similar model and price, or refund the full purchase price, as determined by The HomePlow. Customer must keep the HomePlow System serviced/maintained as recommended by The HomePlow. A written record of service must be maintained, along with receipts for maintenance materials purchased. A copy of the maintenance record and pertinent receipts may be requested in the event of a claim. Meyer plow accessories & parts are designed to be as simple as possible to install. No drilling or cutting is required to install Home Plow parts or accessories. For additional information or if you have any questions, please feel free to call us at 1-877-216-5446 or 701-253-5906.